The City Spree is an annual 5K run in Pittsburgh, with the twist of having no formal course. 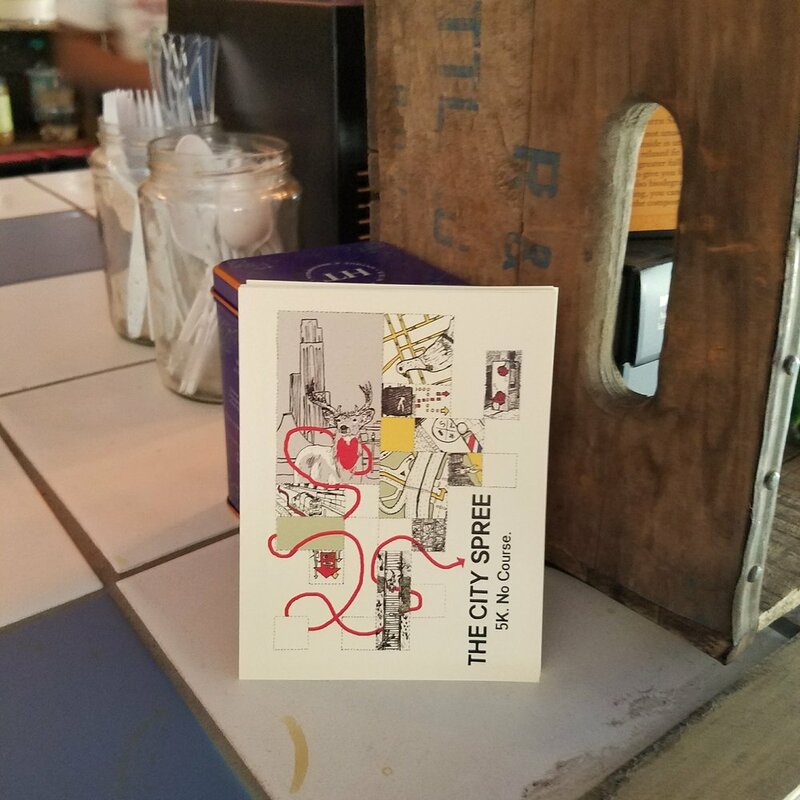 Instead runners start at a central point, and use a map to navigate through the city to waypoints scattered across town. The Spree is hosted by City of Play, which hosts games, activities, and playful workshops throughout the city. They commissioned me to design flyers and a poster for the City Spree. 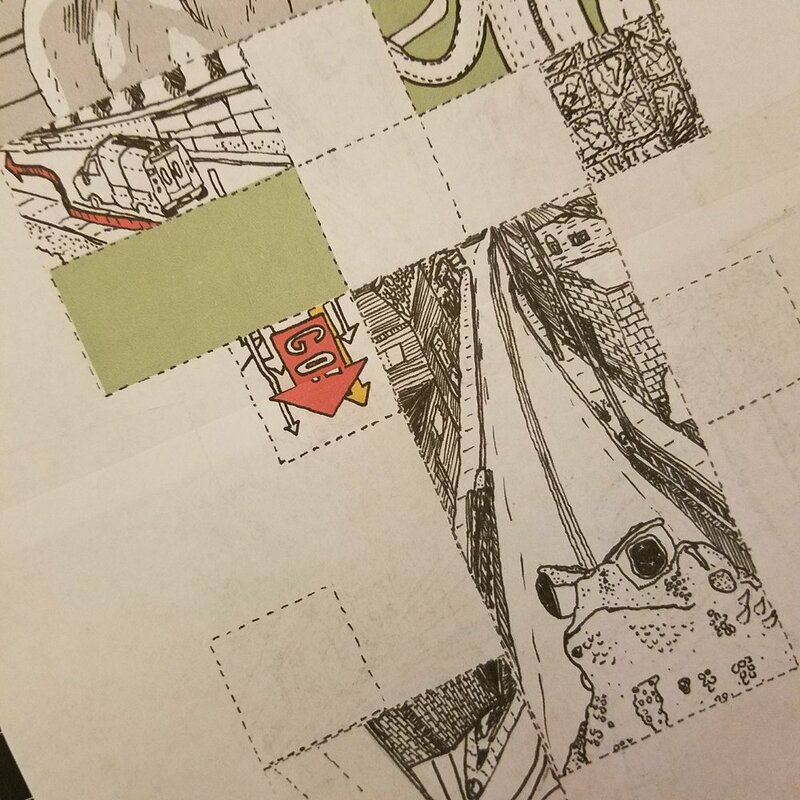 The flyer came first - it is a subset of the tiles used in the poster, and served as a "proof of concept" as well. 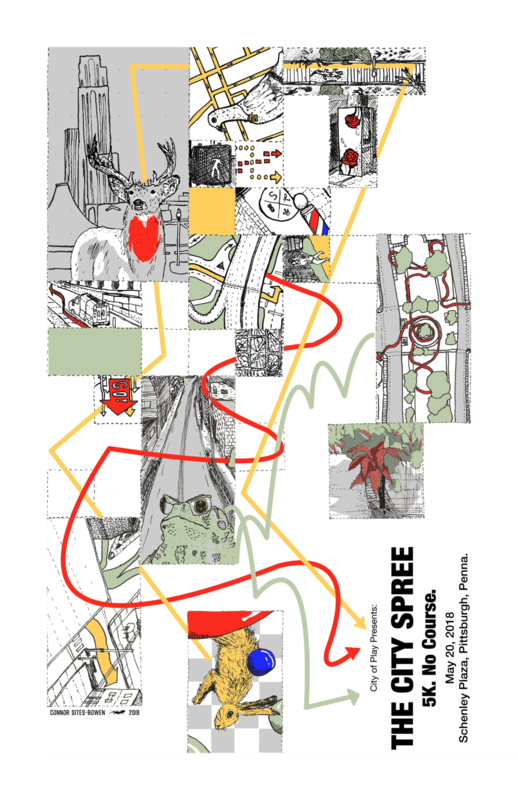 The poster I designed shows the paths of three animals through the city - a deer, a toad, and a rabbit. 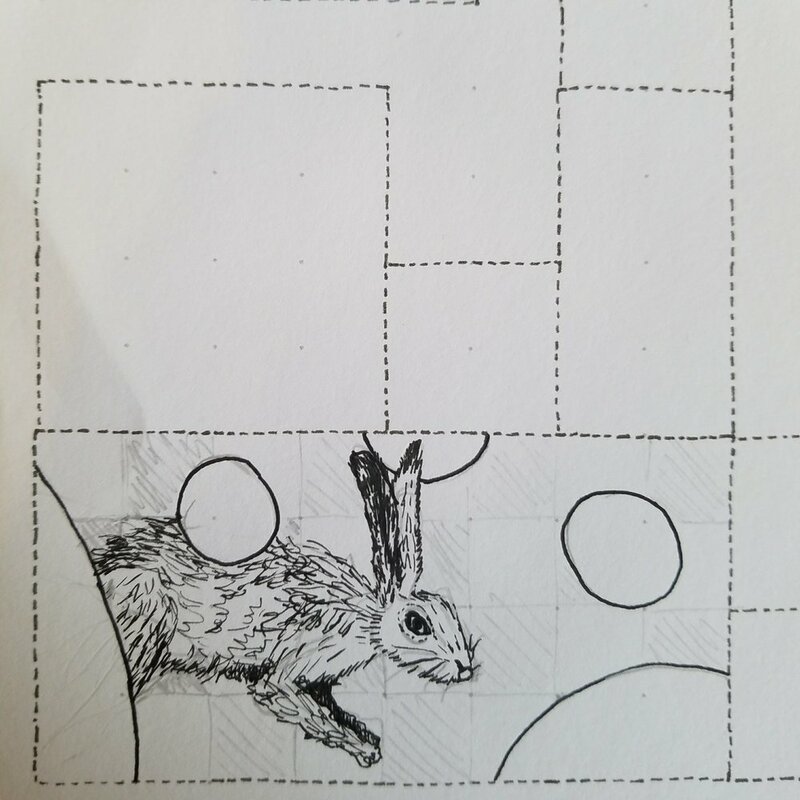 Their paths are in bright colors, and jump over, under, and around a set of floating tiles, each a vision of one of the waypoints in the race. Here are some process shots & detail shots.